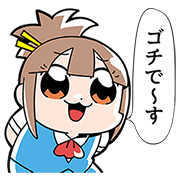 http://www.line-stickers.com/ – Let’s have a dinner! 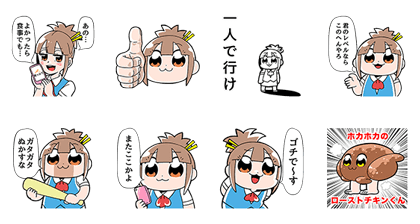 Annoying lady Line Sticker | These stickers come right from the creator of Pop Team Epic, Bkub Okawa! Tabelog is bringing these stickers right to you, free for a limited time only. Friend Tabelog’s official account to get them for free. Available till January 10, 2017.